The next 5 Week Session of Women's FIT Boxing begins next Tuesday, January 16! Enrollment is NOW OPEN! Every Friday is also Bring A Friend Day FREE, 4-5 PM. 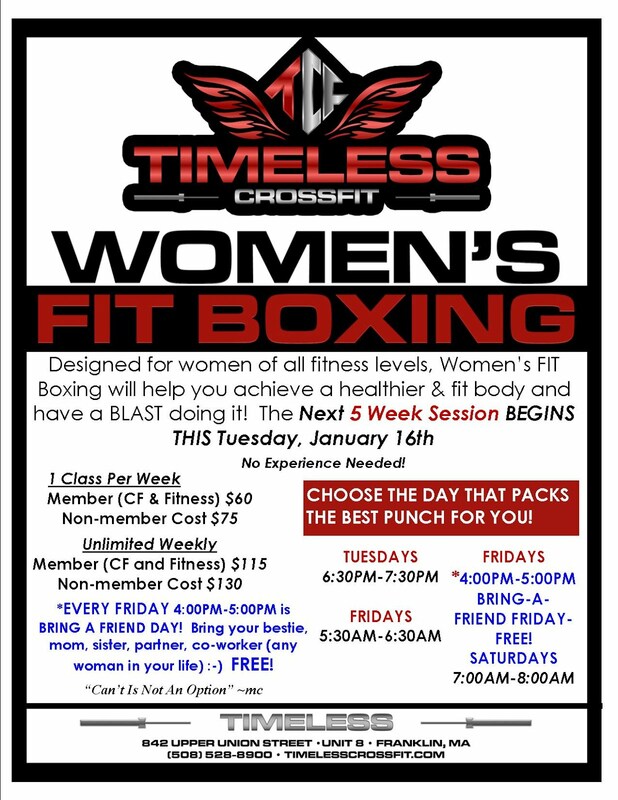 Women's FIT Boxing is specifically designed for every level of fitness or even if you're joining an exercise program for the 1st time! Come give it a try! *EVERY FRIDAY 4:00 PM - 5:00 PM is BRING A FRIEND DAY! Bring your bestie, mom, sister, partner, co-worker (any woman in your life) :-) FREE! Choose the day that packs the best punch for you! FRIDAYS - *4:00 PM - 5:00 PM BRING-A-FRIEND FRIDAY-FREE!